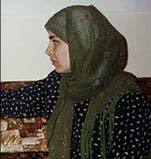 Roya Aziz will finish dual master's degrees in journalism and international area studies at the University of California at Berkeley in 2005. Her work has appeared in the Christian Science Monitor and on NPR. 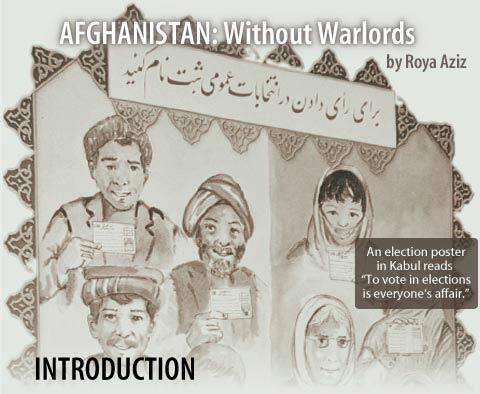 FRONTLINE/World Fellow Roya Aziz, an Afghan American, returned to her homeland to report on preparations for Afghanistan's historic October 2004 presidential elections, the first since the U.S.-led ouster of the Taliban. Visiting her relatives, interviewing presidential candidates and observing voter registration, Aziz provides an eyewitness account of Afghanistan's experiment in democracy, which resulted in what appears to be a landslide victory for President Hamid Karzai. "But democracy in postwar Afghanistan depends on more than just one man and a single election," cautions Aziz. Real reform, she writes, depends on disarming the warlords and building independent political parties. Read a discussion about Afghanistan with FRONTLINE/World Fellow Roya Aziz and series editor Stephen Talbot on Washingtonpost.com.